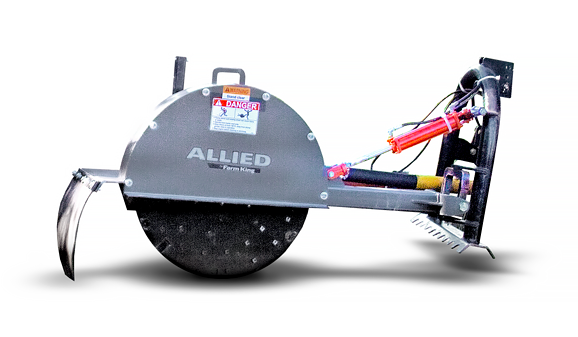 THE ALLIED BY FARM KING STUMP GRINDER CAN CUT THROUGH EVEN THE HARDEST STUMPS. The impressive 45 degree swing arc allows the stump grinder to cover greater surface areas of larger trees. The grinder is easily controlled using the tractor or skid steer hydraulic levers. Both 3-point hitch grinder models use a slip clutch with the skid steer unit using system pressure.